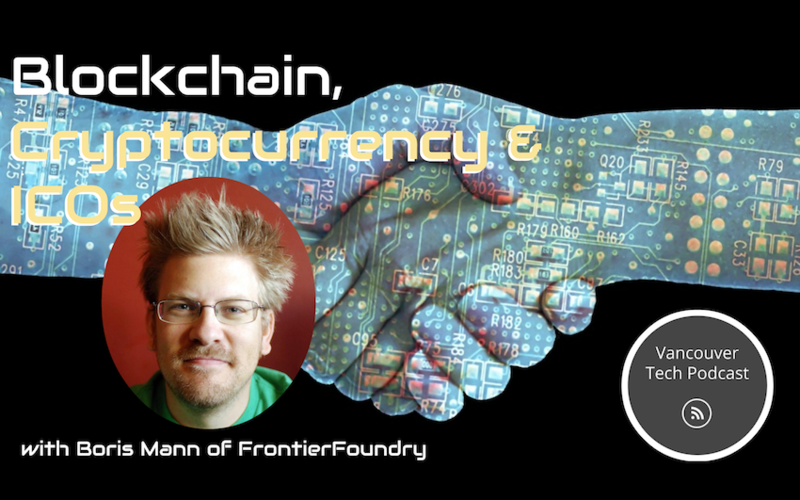 Special Guest Boris Mann of FrontierFoundry joins host Drew Ogryzek to discuss blockchain, cryptocurrency and ICOs (Initial Coin Offerings). 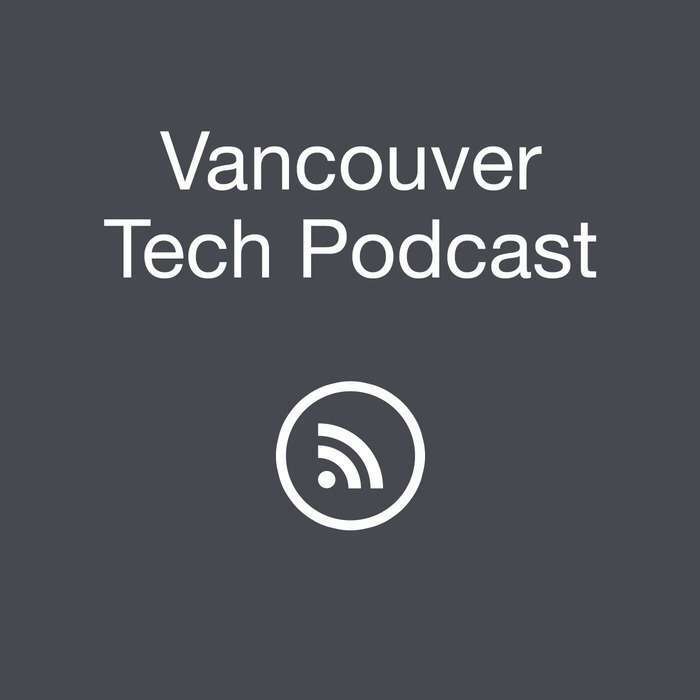 Mann is an active contributor to helping grow Vancouver's technical community, he is involved in open source, running "geek meetups," and started FrontierFroundry with Adrian Jonklaas in March of 2017. 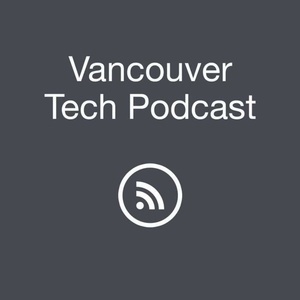 FrontierFoundry was concieved with the question in mind, "What kind of company can we build in Vancouver that really has the whole world as its customers; that goes global from day one?" and thinking of areas of frontier technology, a very broad space where there's not a lot of concensus or understanding as to what successful companies in this space look like. This space includes blockchain, augmented reality, and machine learning, and other emerging tech. How are companies in this space funded? How are they created? Who are their customers? Definitions, Mann attributes to Lisa Cheng, cofounder of Vanbex and has written about in the FrontierFoundry blog. Mann defines ICOs as ways of offering blockchain tokens or coins to people to buy into that will then fund building a project in some way. According to Mann, the big thing that has happened in the last six to nine months or so, is that the Ethereum blockchain has the ability to do programming on the chain and create coins or tokens directly, without having to run an entire separate codebase. This kind of bootstrapping on Ethereum lowers the barrier for entry makes it easy for people to create and offer tokens to a global audience that people can buy to fund projects, which has resulted in some record breaking funding. With open source as a foundation of the ethos of blockchain, various individuals collaborate on open source code repositories that actually run the core servers and clients of the blockchains and miners. Because these codebases are written in low level languages such as C and C++, which takes a fair level of expertise combined with solid computer science knowledge in efficiently implementing cryptographic algorithms, while making sure they are secure and performant; these networks have to run world wide. So, the level of effort to clone the codebase, and make changes that are both different enough from the initial codebase, and secure and highly performant, means it takes an entire stack of C/C++ programmers just to get started. In contrast to that, doing an Ethereum ERC20 Token (a formalized standard for Ethereum tokens), can be done in an afternoon. That won't necessarily mean it is fully secure or doesn't have bugs, but it's much easier to leverage this existing technology, and standard than to develop a completely new blockchain. Listen in to hear more in-depth discussion and follow Boris Mann on Twitter at @bmann. Startup Week 2017will kick off with our signature Hackathon from September 22 to 24, 2017, which will attract more than 200 innovators with the goal of building Vancouver’s next great startups.